Thanks all, and congratulations as well! I asked various friends and family what I should charge for the download and the consensus was .99 cents. The reason for the low cost is - it IS my first true submission. Reasonable? I've sold more with eBook Novelette priced over .99 than I did I'd .99. Just because your new, doesn't mean you have to charge very little. Besides, the more people who give away their work for free or really cheap, the harder it is for us ever to charge enough to make more than Amazon does, on our work. I sold a micro (twitter?) length piece to Story Seed Vault @tinystoryseeds that should be posted on 7/23/17. Less than 140 characters still counts right? p.s. I'm publishing it under the name Jonathan Twain. Tangentially related to writing success... my first self-published book, Immortal, just got me my first real, career-based writing job. After 17 years in IT, I get to write for a living and leave tech troubleshooting to others. I'm calling it a win! michaeljwyantjr wrote: Tangentially related to writing success... my first self-published book, Immortal, just got me my first real, career-based writing job. After 17 years in IT, I get to write for a living and leave tech troubleshooting to others. It's what you're calling it that matters most. Congratulations! A little flower has blossomed in the desert. My story The Ship of Theseus (7400 words) has been accepted for August's edition of Phantaxis. I liked this story enough to write a sequel already. Because everyone admires Heraclitus, right? Ishmael wrote: A little flower has blossomed in the desert. My story The Ship of Theseus (7400 words) has been accepted for August's edition of Phantaxis. Congrats! and congrats to Michael and anyone else I've missed over the last few weeks. 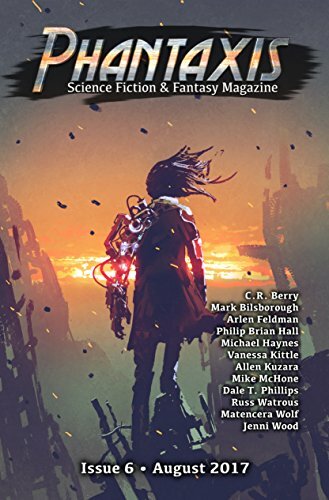 The issue of Beneath Ceaseless Skies featuring my story is available for subscribers via Weightless Books! Non-subscribers can get one issue for $0.99US...or wait a couple of weeks for the issue to come out for free on the BCS website. And on the same day I received only my second ever rewrite request, this one from CRES. Just as was the case with the first such request, the five points needing correction were perfectly right and only needed pointing out for me to see them. Just as before I whizzed the story back in a matter of hours. Last time the editor didn't think I'd have had enough time but declared I'd actually nailed it. Fingers crossed lightning strikes twice, which would be yet another professional sale. Ahem. My friends, I'd better win WotF soon or the door will be shut in my face. Great news! Here's to you winning and winning soon, but if you don't, proing out is the next best thing. Thanks Aaron. Whatever the outcome, I've certainly learned a lot about writing from this contest. On the other hand I do still need my mistakes pointed out! Okay, that was awesome. The setting and characters hold a great deal of depth. I would legitimately love to read a novel set in that world. disgruntledpeony wrote: Okay, that was awesome. The setting and characters hold a great deal of depth. I would legitimately love to read a novel set in that world. You're making me want to work harder. Which is good. I've been slacking. Wow. Great story. The ending is very profound. Thanks! I'm glad you enjoyed it. I'm pleased to announce that my short story The Ship of Theseus has been published in the August 2017 edition of Phantaxis Magazine. I'm very fond of this story, in which an undercover cop in a dystopian future San Francisco discovers a lot more than he expected about how his world is being run. Phantaxis is available in paperback or as an e-book. I hope all of you will take advantage of this great offer. And if you like my story, please be sure to let everyone know! The publisher has changed the ebook promotion dates to Friday August 18th, Saturday August 19th, and Sunday August 20th. The promotion will no longer run August 11th through 13th. as previously notified. Phantaxis wish to apologize for this change which was out of their hands. Very nice. I enjoyed it. Just read it. Thoroughly enjoyed it too! Beautifully written. Did you use a similar style with your winning story? I look forward to reading it. Well...I don't want to say here, for fear of outing my story before the grand prize judging. If you'd like we can exchange winning stories! Ishmael wrote: I'm pleased to announce that my short story The Ship of Theseus has been published in the August 2017 edition of Phantaxis Magazine. I just downloaded it. I'm looking forward to reading tonight. I hope you enjoy it Aaron. Some way left field of my normal work these days. N.B. Everyone else - Today is the last day for the free download (see above). I have sold a poem! This is a first. Though I won the poetry competition at my local festival and had a couple of poems published in a non-paying anthology, this should be the first time (all being well) that I'll be paid for writing poetry. Not free verse, not even blank verse, real poetry that scans and rhymes. And not just real poetry that scans and rhymes - a sonnet! I kid you not. A sonnet. Question: has anybody anywhere sold a sonnet in living memory? No, don't tell me. I'm sure somebody must have, I just haven't seen any. Needless to say, I am well chuffed! "Now give three cheers, I'll lead the way, Hoorah, Hoorah, Hooray." - W S Gilbert. After a pretty fallow six months are we on a roll here? Flame Tree have accepted my story 'Heavy Weather' for their 'Pirates and Ghosts' anthology. Oh I do so enjoy it when some outfit takes my work for the second time. It suggests they weren't frightened off the first time! Ishmael wrote: After a pretty fallow six months are we on a roll here? 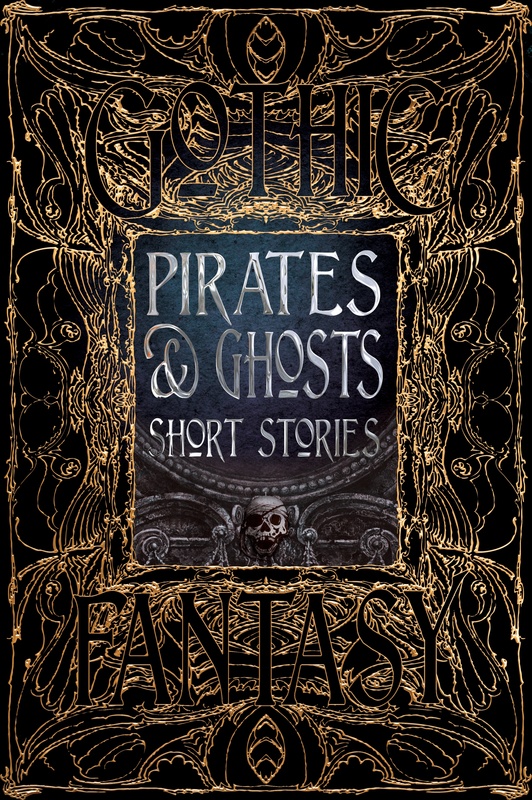 Flame Tree have accepted my story 'Heavy Weather' for their 'Pirates and Ghosts' anthology. We're going to be antho buddies! Flame Tree accepted my story "The Game of Games" as well! Congrats. Good to see a couple forum folk get in those.